Killings of Blacks by Whites are more likely to be ruled “justifiable??? Home/The Jury Room (Keene Trial Consulting)/Killings of Blacks by Whites are more likely to be ruled “justifiable??? The graphic illustrating this post contains false data. It is just one example of the way false information has been used to heighten racial tensions in the past few years. The graphic is shown here with FALSE in big red letters to help you remember the data shown is simply not true (we’ve blogged about the importance of this visual strategy before here. The information contained in this post IS true and comes from a new Marshall Project investigation into 400,000 murders by civilians between 1980 and 2014. They begin the report with these bold statements (which are backed up by actual data). 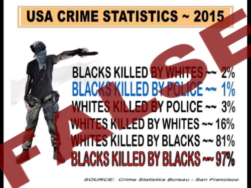 Keep in mind that these statistics DO NOT include police shooting of citizens. In one in six of these killings, there is no criminal sanction, according to a new Marshall Project examination of 400,000 homicides committed by civilians between 1980 and 2014. That rate is far higher than the one for homicides involving other combinations of races. “The disparity persists across different cities, ages, weapons, and relationships between killer and victim”. Little large-scale research has examined the role of race in “justifiable” homicides that do not involve police. The data examined by The Marshall Project are more comprehensive and cover a longer time period than other research into the question, much of which has focused on controversial “Stand Your Ground” laws. As hinted at in the excerpt above, the Marshall Project Report highlights the reality that stereotypes and fears not based in facts may result in wrongful killings that are then not punished accordingly because “it was a mistake”. We wrote about these sorts of irrational fears and stereotypes in an article published after the Trayvon Martin killing as well as on the blog. You can see the full article which was published in The Jury Expert here: The ‘Hoodie Effect’: George, Trayvon and How it Might Have Happened. Here are a few facts presented in the report (which, again, is based on actual data from the FBI and not just made up to inflame emotions). The vast majority of killings of Whites are committed by other Whites, and the overwhelming majority of killings of Blacks is by other Blacks. But killings of Black males by Whites are more than 8x as likely as all others combined to be labeled justifiable [killings]. In comparison, when Hispanics killed black men, about 5.5 percent of cases were called justifiable. When whites killed Hispanics, it was 3.1 percent. When blacks killed whites, the figure was just 0.8 percent. 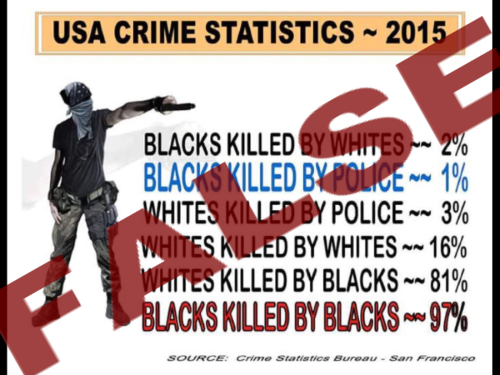 When black males were killed by other blacks, the figure was about 2 percent, the same as the overall rate. Since this report is about killings labeled as “justifiable”, it doesn’t even address wrongful convictions of Black Americans. For that, you can review this March 2017 report from the University of Michigan: Race and wrongful convictions in the United States.. The actual report contains many graphics showing how the numbers compare to each other and the graphics are eye-opening (to say the least). If you want to be fully informed on the facts involved when it comes to race and murder in the US, you need to read this brief report.